This toolkit was developed for use for members of the AETC Program and HIV health care professionals to serve as a resource guide on HIV and aging. The information contained in this toolkit is divided into 4 categories- Prevention, Assessment, Treatment, Psychosocial. Each category aligns with the stages of the HIV Treatment Cascade to highlight the significance of comprehensive identification, care, and treatment specific to this population. 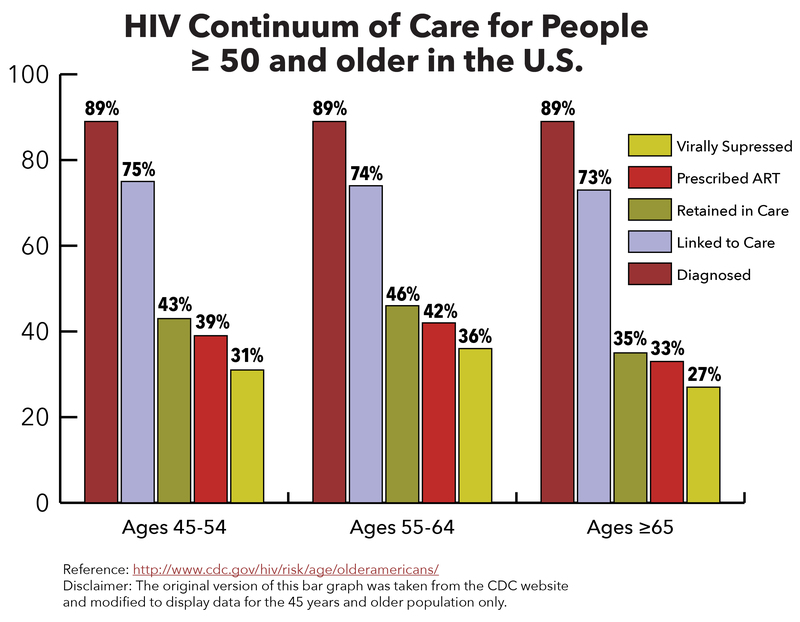 The following are included in this toolkit including, videos on topics related to HIV and aging; a compendium of evidence-based information with associated annotated bibliographies to summarize each reference; an HIV and aging infographic.